A new school year always has to be launched with grace. I make a plan with full knowledge that it will probably have to be tweaked quite a few times within the first week or month of school because I don't always foresee all the hiccups that can and will happen when using a black-and-white plan in real life. I have to learn as I go and be willing to make a Plan B when necessary. In the past, I've usually added and subtracted several little things by late fall. This year, however, November brought a complete curriculum shift. I could tell within the first month of school that BJU English 5 was just not going to work for my oldest son. While very bright, he suffers from a mild neurological condition that makes learning a challenge. Up until November, he was learning the new material each day and doing well with it, but could not seem to retain it for the long haul. The unit-by-unit method that BJU English is known for was a struggle for him. We were both spinning our wheels and getting no where. It was and is a wonderful program and one which worked perfectly for his older sister. But education should never be a one-size-fits-all endeavor. What I use for one I won't necessarily use for the next. So, I set all his still-quite-new books aside and ordered something else...something more gentle that incorporated more of a Charlotte Mason, whole-method, approach. I ordered the Learning Language Arts Through Literature purple book and teacher's companion. But, 5th grade language wasn't the only thing that got revamped. Here's a peek into all the curriculum changes that I've made in the first semester of the school year. In my original plan, I chose Jack Prelutsky's poetry collection, A Pizza the Size of the Sun for our daily poetry readings. But in the past months, I've also included a few seasonal poetry collections like, It's Thanksgiving!, It's Christmas!, and Winter Poems just to mix it up. I hope to continue weaving seasonal poetry books into our morning time basket as I find them. If anyone knows of a great spring time collection, I'm all ears! 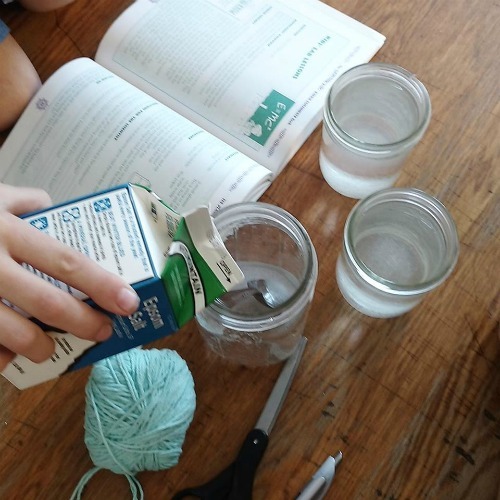 While I was disappointed that we would not all being doing science together this year because of a curriculum shift for my daughter, I did hope that by aligning the boys' unit studies with her science syllabus, we'd all be able to do science experiments together. But, no. Her projects have been way too involved and quite over the heads of the three younger boys. So, I've stopped trying to chase science utopia. Instead, I've been doing the same kind of science units for the boys that I've always done. But rather than allowing them to choose the topics, I'm following the topics listed in her science book so that at least we can be learning the same types of things even though we're not learning them together. 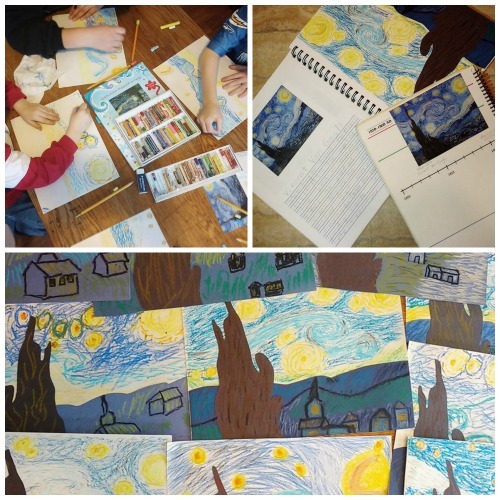 We are doing enrichment subjects this year in bi-weekly co-op...art/art history and creative writing, to be precise. I had originally planned that we would do our own additional art and writing projects on the off weeks. But, other than a few Christmas-themed art projects we did during Christmas break, we just haven't done any extras. And I'm OK with that. Our schedule just doesn't seem to have any budging room in it this year. Fortunately, we are getting more than our share of both writing and art at co-op. My daughter had chosen to learn how to do simple web coding for her first PBL of the year. Sadly, the Kid Coder Series: Web Design would not work with our newer apple computers. The frustration of trying to get the site to run was like a wet blanket to the entire notion of learning to code. So, she scrapped that idea altogether and has been learning to help The Hubs make videos for his backpacking/camping youtube channel instead. She began the year using Type to Learn 4. A few weeks in, however, it was clear that a typing program was redundant. She already knew how to type from early exposure to Typing Instructor and Type Kids. I only assigned her to a typing program this year so that she'd have weekly practice. But, she was already getting so much real-world typing practice in her writing program, Cover Story, that tacking on any additional typing seemed contrived and a waste of time. So, we pulled the plug. No more typing practice. As I mentioned, the biggest change this year came from scrapping an entire language curriculum. Since we've only used LLATL for a little over three months, I hesitate to give it any kind of glowing review. However, it seems to be just what my son needs...language lessons based around living books, narration, copywork, and great conversations with me. The biggest thing I've noticed about the program so far is the amount of relational time it gives us. We've had such wonderful conversations discussing great books. And his general writing mechanics...capitalization, punctuation, and sentence structure...has improved quite a bit as well. We love Teaching Textbooks! It has been such a lifesaver for this mother who has a very REAL allergy to math. (It causes an unsightly amount of sweating.) I do think, however, that my boys require a bit more daily practice of the fundamental facts...addition, subtraction, multiplication, and division...than the program provides. At the beginning of the year, I bought Minute Math Drills for my two oldest boys to complete each day after their Teaching Textbook lesson. And while these one minute math charts work well, they are a bit too work-sheety for our liking. So, I've been having both boys practice their facts together each day. They drill each other for five minutes a piece using my favorite sets of math fact flashcards. While they are learning to read, my kids always have to read out loud to me everyday. But, somewhere around 3rd or 4th grade, when they've become fluent enough and don't require anymore help, they can read to learn. They still have to read mom-assigned books , but they don't have to read them out loud to me anymore. My middle son has officially crossed the bridge. He reads on his own now. However, since I feel like he needs more practice crafting sentences and writing in paragraph form, I've added chapter narrations onto to his daily reading. After he reads each chapter to himself, he has to write a two to three sentence summary of it in his own words into a daily reading journal. He includes the date, the chapter number, and his sentences. He then immediately hands the journal to me to look over and make any suggestions. We also usually end up discussing the book quite a bit which is another huge step in creating a lifetime reader. As I mentioned, he's been joining his brother to play flashcard games together for five minutes each day. I'm trying to be really intentional this year to order picture books from the library that can fill in some of the learning gaps for my youngest two kids. 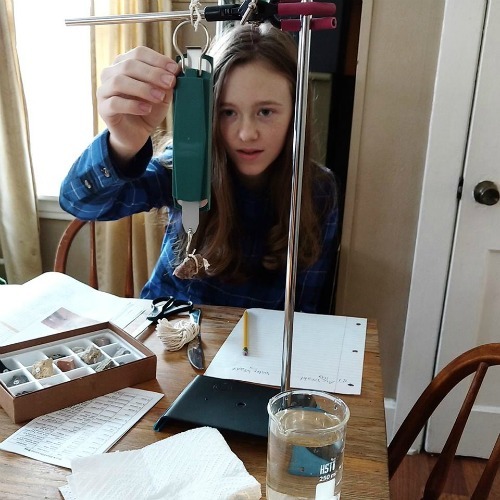 Because we do all of our content-oriented subjects like Bible, history, and science together as a family, much of our learning is geared to middle and upper elementary topics. My youngest two kids were too little at the time to understand and remember all the fun things we learned about several years ago when my oldest kids were their age. 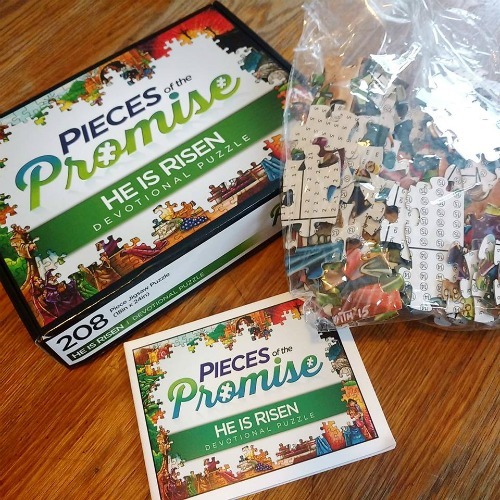 While I don't have time to do two different Bible lessons, two different history lessons, and two different science lessons each day, I've been more purposeful when choosing our afternoon storytime books. 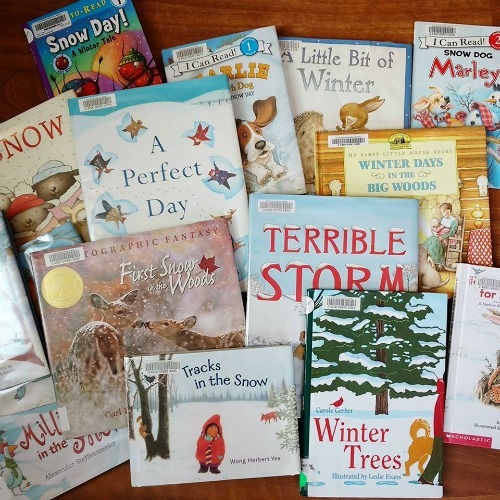 Instead of only tossing fun fiction books into my library bag I've also been pre-ordering lots of seasonally themed books, picture book biographies, and living science books. Admittedly, the learning is a bit more random. But, it's still learning! As the last born, our youngest has had to grow up a whole lot faster than any of our other kids. He just naturally tags along with his older sister and brothers to do whatever big-kid things they are doing. In an effort to give him back some of his little boy-ness, The Hubs has begun having a one-on-one storytime with him. He purchased a vintage Thornton Burgess, Paddy the Beaver book and a beaver hand puppet and began having a puppet show/book reading time with our son every few nights. Our son has loved it so much, that he spent some of his own Christmas money to buy a few more books in the series and a porcupine puppet to play the part of Porky the Porcupine in the Burgess books. He carries the puppets around all day long talking to and playing with them. They've even made their way into our preschool time each morning. If my son ever asks you to bump noses with him, just smile and nod. Apparently, that's how beavers say hello. It's been at least two months since I've implemented all of these changes, and I'm happy to say all's well. We're in the zone. 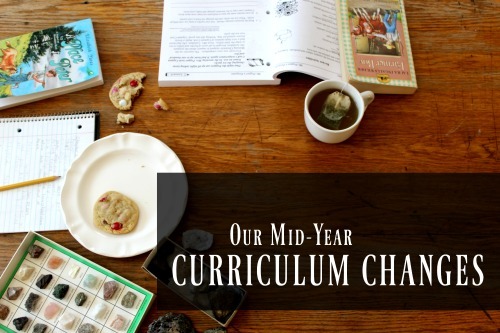 Other than the 5th grade language curriculum, most of our changes were quite minor. But, they have made all the difference. 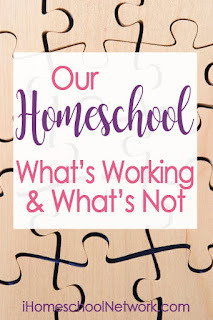 To see what is and is not working for other homeschool mommas, be sure to visit iHomeschool Network. A quick easy and free math facts drill program is Xtra math- it's online. We use it daily, it's nothing fancy but if you just want math drill work- this is great! Xtra Math has done wonders for three of our six kiddos. I just found myself getting frustrated that our kids did not like the flash card drills. The Xtra Math had been a huge blessing. And no arguments from our kiddos when they practice their facts!!! I really like it. I'll hopefully be able to write up my full opinion by the end of the year. Thanks - I look forward to that! 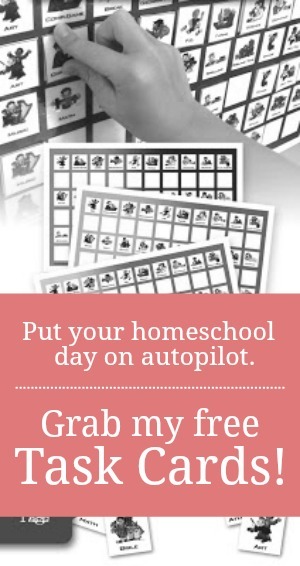 We are headed to the Great Homeschool Convention this week and they have a booth, I look forward to picking up and looking at it in more depth.